30+ years of experience in astrology and allied vedic astrology streams career guidence for planing future main interested field alongwith analysing Human nature tendencies behaviour main expertise, Small astrological solution for big problems.,expert astrologer in india, India is famous for its Vedic Astrology treatise and Astrologer HE is one of the best and genuine astrologer for Indian Astrology Consultancy in India. Very established in India, Astrologer has taken the first steps towards Online Astrology Services for the convenience of the people living in India or in countries like US, UK, Canada etc. where genuine services of Indian Astrology are not available. So people sitting in any corner of the world need not come to INDIA but they just contact us and they get the online astrology solutions according to their Horoscope at tips. Astrologer follows Indian Vedic astrology principles for preparing online astrological readings and horoscopes. 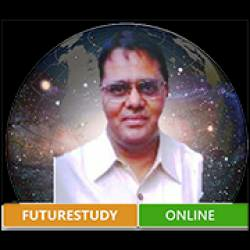 The Indian Astrology or jyotish system is the most ancient and most accurate. For Online Vedic predictions, Your birth details are required. Astrologer is a world famous astrologer and Vedic astrology Consultant using his immense knowledge of Astrology to solve the problems in people’s life. HE would Answering all your Questions regarding any prospects of the Horoscope. Just contact us and complete a little Procedure and then Astrologer will talk to you directly and tell you about your Horoscope and The Astrological Solutions if needed. First time he took my session on phone and that was for approx 1 hour and predictions were completely accurate. he suggested few remedies too. Also he was kind enough to tell me to call her back whenever I needed any help. I cannot express gratitude from the bottom of my heart and I promise to suggest her expertise to my family and friends too. Please take a leap of faith and you will be surprised. he was able to tell me what kind of a person I was exactly, and she was not someone who only offered varieties of religious rituals, but also counselling advise. Felt good talking to her.. She also offered to respond to calls and texts whenever I needed her.